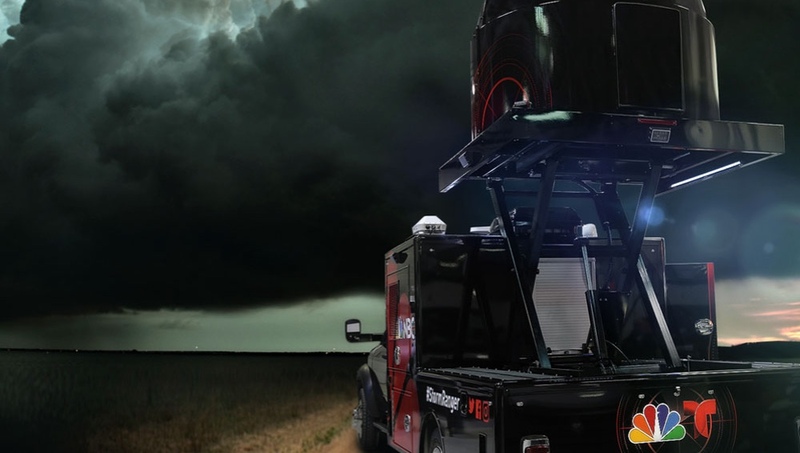 NBC 10 Boston’s exclusive StormRanger mobile radar truck is a one-of-a-kind vehicle that has a live, high-powered Doppler Radar that enables StormRanger to get out ahead of a storm. 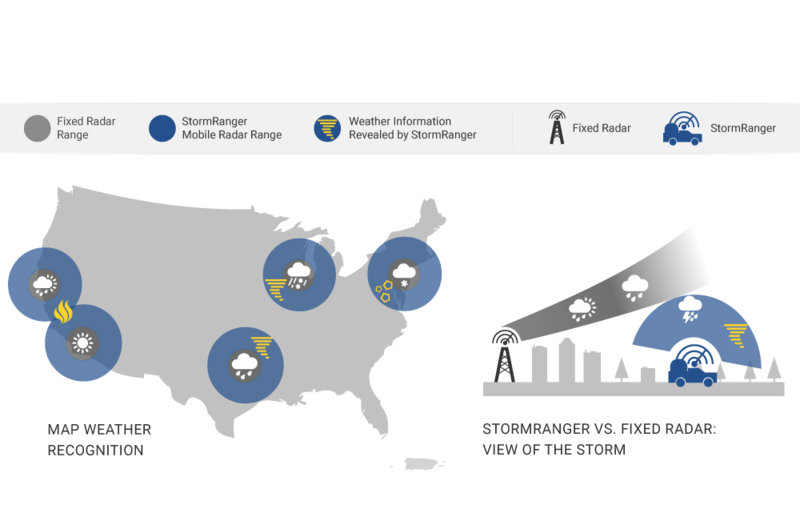 The StormRanger can track storms wherever they are with a higher degree of accuracy and with more detail than ever before. From increased visibility in the heart of a storm to the ability to alert people in real time that a tornado has touched down because it can detect actual debris on the ground, StormRanger is the latest addition to NBC 10 Boston’s expanding weather arsenal designed to keep you and your family safe when severe weather strikes. So what makes the StormRanger so unique in delivering you the most accurate forecast? When severe weather approaches, NBC 10 Boston now has the ability to dispatch StormRanger to wherever the storm is going to strike. Using X-band, dual-polarization Doppler radar, StormRanger can provide our meteorologists with more detailed observations than any normal fixed radar can provide, giving them — and you — a hyperlocal look at the storm. StormRanger's radar, which has a maximum range of about 100 miles, will update about once every 60 seconds. These updates mean you'll be up-to-the-minute when tracking how and when the weather will impact you in your crucial locations such as your home and where you currently are. Our app users will receive push alerts when StormRanger is activated, allowing them to get a closer -- and more accurate -- look at the weather in their neighborhoods. By driving StormRanger close to actual storms, NBC 10 Boston will be able to give a detailed look that TV stations never have been able to do before. Fixed radars may miss certain weather events due to terrain or blockages due to buildings in a downtown area. But StormRanger can fill in those gaps in coverage, and in turn provide a more complete picture of what is happening now and what those immediately in the crosshairs of a severe storm can expect. 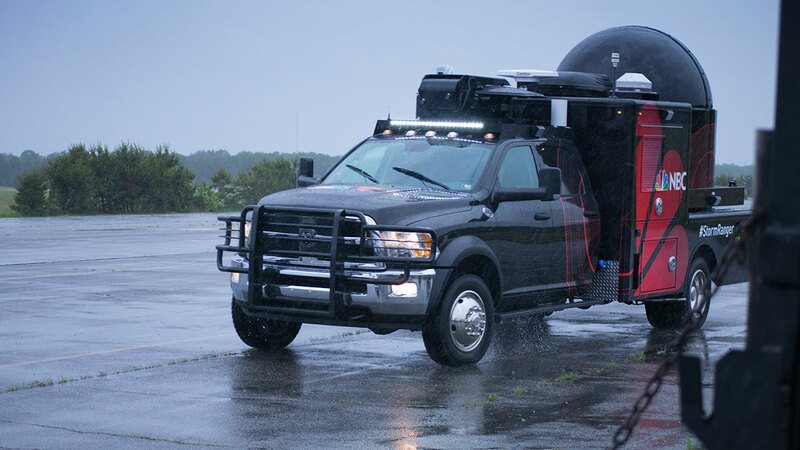 Mobility is StormRanger’s big advantage over fixed radar during severe thunderstorms. By positioning StormRanger wherever severe storms are about to strike, meteorologists will get a better idea of how the storms are forming, how severe they are and where and how fast they’re moving. In addition to radar, StormRanger has two cameras to give you an up-close look at conditions - one on the dashboard, and one pointed at a reporter riding in the vehicle. “The information you're going to get on a local level is going to be unprecedented,” said Tom Jennings, president of Accelerated Media Technologies, which did the customization required to integrate the radar system into StormRanger. “You’re going to get such high-resolution weather telemetry out of these trucks that you’ll know exactly what the weather’s doing in your neighborhood, not just theoretically what it’s doing across your state or county." NBC 10 Boston is committed to bringing you the most accurate weather information possible, and StormRanger is just the latest investment we’re making into weather-related technologies to do just that. StormRanger is here to serve your community, and ensure that the Early Warning Weather team is your most-trusted source when severe storms strike.